Meet Deborah Lykins. She is a professional photographer who specializes in documenting the joys of pregnancy, childbirth, infancy and parenting. She currently works out of her boutique photography studio, Deborah Lykins Photography & Design in Austin, Texas. 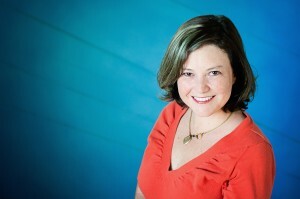 Deborah received her masters degree in photojournalism and has worked with a number of publications including The Austin American Statesman and The New York Times. 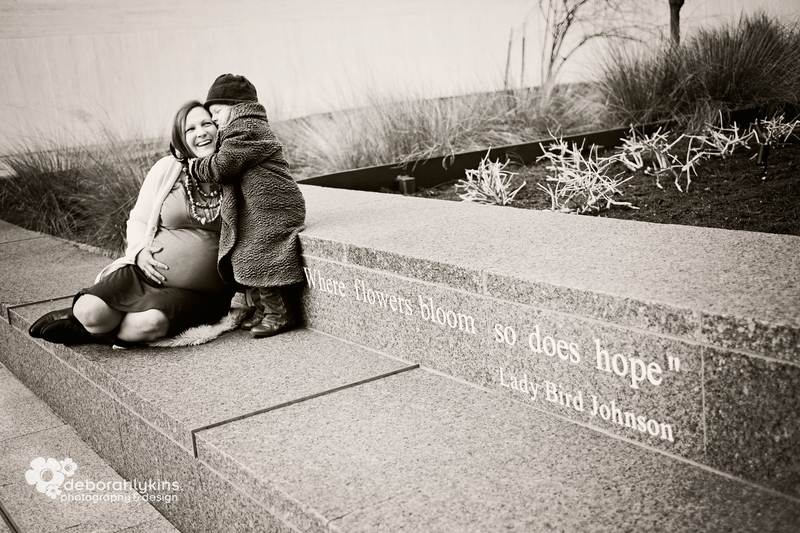 Her maternity portraits have been featured in Pregnancy Magazine and on KEYE news. After experiencing the joys of having children, Deborah decided to combine her experience and skill in crafting compelling visual stories with her love of photographing the little people in her life. She now partners with families to document and capture the emotions and beauty of welcoming these new lives and loves. We were thrilled to have Deborah share her thoughts on photographing these special moments and on making the most of photography in our own lives. BPP: How did you become interested in photography and the field of photojournalism? DL: I’ve always loved to read and tell stories, and always thought I’d be a writer when I was younger. As I grew, I veered from literal storytelling to visual storytelling and got my Bachelors in Fine Arts. I managed a photo lab – back before digital cameras – and a perk of the job was free film processing and printing. I really grew and refined my photography skills. Meanwhile, I was in charge of creating and running a digital lab for the shop, and spent many hours in Photoshop 5 doing digital retouching, restoration and training others on digital processing. 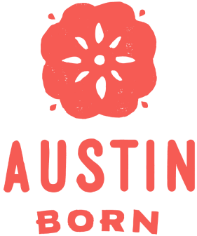 When we moved to Austin, I began working at a graphic design company. One day, I saw a brochure for a visiting lecture series at UT. All the speakers were photojournalists, and I felt something click in me. Photojournalism seemed to combine my love of stories and my passion for visual art. I wanted to tell stories about people with my photography. So I gathered up my portfolio, applied and was accepted into the photojournalism graduate program. BPP: You have worked with publications such as the Austin American Statesman and the NY times. What caused you to switch gears and start focusing your photography on maternity, birth and beyond? DL: I loved photographing news. I got to meet so many interesting people, and had access to places and things I would not normally get access to: like the floor of the Texas Senate and the field of a UT football game. Once, I flew in a B-25 bomber shooting pictures through a large, open door in the side of the plane. I covered some serious stories, such as military trials at Ft. Hood and missing kids in Laredo, Texas. I also did light-hearted assignments, like the Wiener Dog races in Buda, Texas. It was an amazing experience. However, after having my first son, the uncertain schedule of a freelance photojournalist became difficult and stressful for me. Don’t get me wrong, I know a number of women with families who balance freelancing and parenting, but I also surprised myself by wanting to stay home for a while and focus on being a mom. I decided to take a time out and explore my options. During this new career and personal life shift, I found I could never put my camera away for long. I realized I still wanted to document and share this new (to me) world I was seeing and experiencing. So, I began documenting families and telling the creation stories of new families. BPP: You often use your camera to document the beautiful scene of a mother’s labor and the birth of their child. What is it like to be an outside observer, looking through the lens of your camera, during this momentous occasion for families? DL: It’s one of the most amazing experiences I have ever had… every time. The whole process constantly awes me, the strength of the women in labor and the people who support them, the intensity of the emotions, and ultimately the miracle of the birth. Those first moments of a newborn’s life are indescribable. My heart stops and I get choked up, every time. I am so lucky that couples invite me in, trusting me with these intensely private moments. I have three young children, and there is a point during every birth I document when I have a visceral reaction. I think, “Oh yeah, I remember feeling that.” I believe that recollection helps me capture the emotions of the day. I can anticipate and look for the small but fleeting moments of expression, like when foreheads touch, or a hand brushes a brow, or a small kiss lands on the shoulder. Some people think birth photography is about the crowning shot, but it’s really about the emotion of the day and recording those quiet little moments that can get lost in the intensity and excitement of everything else. Most everything in my memory from the births of my three children is a blur. So many wonderful memories would have been lost if I did not have them documented. BPP: When you have been asked to document a birth, how do you know when to arrive at the birth location? Do you stay during the entire labor and delivery? DL: I am on call for the few weeks before and after the due date. I tell Moms to call me when they think labor has started. That way, I can square away my schedule, childcare and be ready to go. If they are having the baby at home, they usually call again when the midwife is coming, or when they are headed to the hospital or birth center. I stay through the labor, delivery, and the first couple of hours after birth so I can capture all the important moments: the cord cutting, the weighing, the first bath, the foot prints, and of course all the parent-baby nuzzling. I do make sure to give the new family space. I try to find the balance between capturing all the important moments and giving the families time to savor each other. BPP: Is there anything that has surprised you or inspired you when capturing a birth on film? DL: Everything. No really, I know it sounds silly but everything about birth photography surprises me and inspires me, at every birth. BPP: You also do family photo-shoots, with newborn babies and with older children. Any suggestions on how a family can prepare for and get the most value out of a photo session? DL: Each type of session is different and I have different suggestions for preparing for each type of shoot. Generally, I do a pre-session questionnaire and consultation to help nail down things like the must have shots, the location and the clothing choices. I also help with styling the clothes, and have been known to go to a client’s house to look at clothes when asked. Sometimes people text me photos of potential outfits while they are shopping and I’ll send them my thoughts. I know some of these decisions can get overwhelming and stressful, so I try to make it as easy as I can. I think aiming to have everyone well rested and fed is very helpful, l and I try to bring snacks with me to shoots. I also tell parents not worry too much about their kids’ behavior at the session. Our goal is to have fun and be silly – for an hour or so normal behavior rules don’t apply. It’s also important that the parents are relaxed and having fun, because kids pick up on moods and will react to them. BPP: We live in an age of cell-phone and digital photography. Any pointers for parents who are wanting to capture themselves and their newborn on film? Do you recommend purchasing a high-quality camera with a good lens? One thing I would like to add to that list: Watch for emotions like laughter and even crying. Emotions tell stories and the photos that capture them are the ones you’ll want to revisit. Regarding cameras: DSLRs are fun and if you take the time to learn to use one, you will likely capture better images than with anything else. The cameras on iphones and other point and shoots are pretty amazing now, so if you aren’t tech-y or don’t want to spend a lot of time learning, a DSLR is not a necessity. I probably use my iPhone for casual photos of my family more than any other camera I own. BPP: Do you enjoy capturing your own family on film? Do they shy away from the camera or embrace your art? DL: My two older kids love having their pictures taken. My youngest one is going through a phase where he turns his back on me whenever the camera is out. Children of photographers probably have the most well documented lives of all people, and mine are no exception. I love having all these memories that I can revisit but I also make a point to leave my camera in the bag. That way I can be with my family and experience life with them rather than documenting it. DL: I recently had someone say to me when I was feeling overwhelmed, “Let go. Everything is perfect and it is the way it needs to be.” It really resonated with me. The reminder that even when things feel too intense, as they often do when you are a parent, everything is perfect. Even while we are flawed, we are as we need to be. Thank you so much Deborah for sharing your sweet words, your photo-wizardry wisdom and your gorgeous portraits with us!